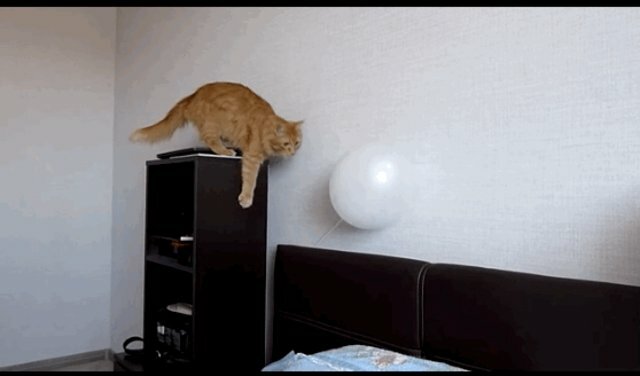 With their orb-like shape and their propensity for floating in the air, balloons are fairly magical objects -- especially to cats. 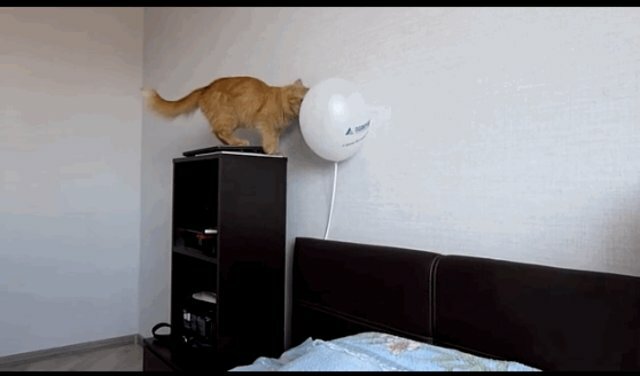 This feline is determined to get to the bottom of this unusual sphere once and for all! Pawing at it doesn't seem to yield any evidence, other than the fact that balloons are particularly fun to touch. 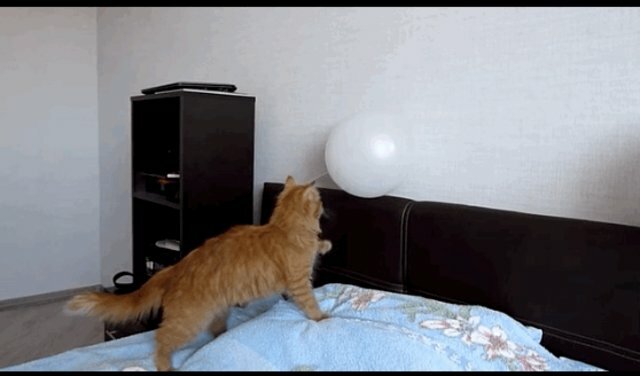 Maybe if you paw at it a little bit more-- NOPE. Sometimes investigations in the name of science can be a little bit TOO unexpected.